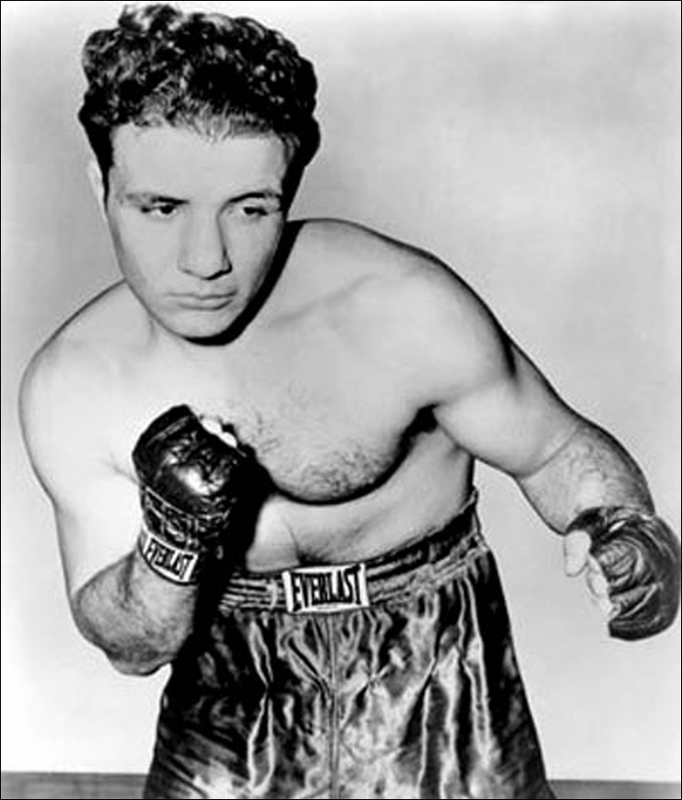 Description : Here we have the movie poster from the iconic movie that portrayed Jake LaMotta, the Middleweight Champion of the World. 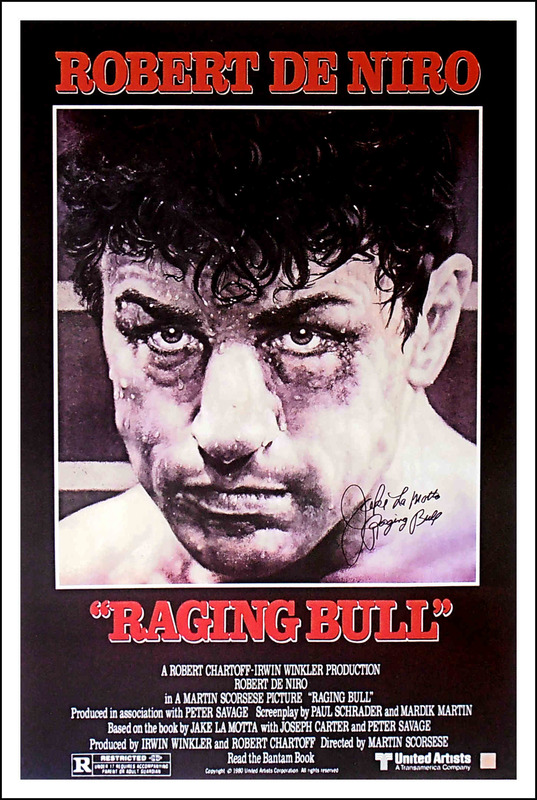 He has signed this poster RAGING BULL! 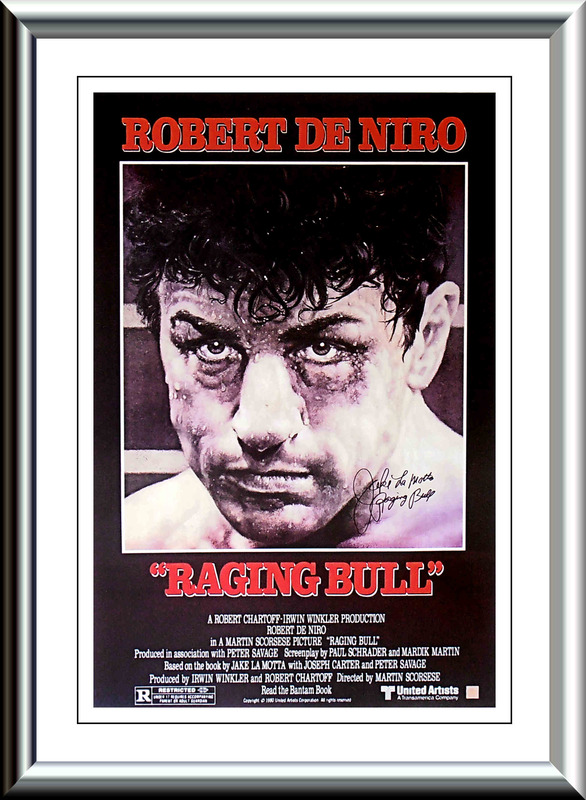 He part was portrayed by Robert De Niro, this is without doubt the best movie about a boxer & a time in boxing, ever made.